What a “Get Slush’d” franchise Offers! A Get Slush’d franchise offers multiple income streams currently with 2 Brands with a 3rd being processed and complied. The first income stream is under the Flagship brand name of Get Slush’d. Get Slush’d hires party equipment on a nightly basis to both Residential and Businesses, our current product lines for hire are Party and fairground favorites, equipment such as Cocktail Slushie machines that both adults and kids always enjoy and Karaoke Jukeboxes, we also have Fairy Floss, Popcorn and SnoCone machines along with popular items like Spit roasts and table top Arcade machines with 60 old time 80’s classic games on. As more franchisees come on board our aim is to expand this range to include hire equipment products such as Photo Booths, Fondue machines and much much more. Businesses we class as all sectors including Schools/Day cares and youth and community centres as well as general businesses. Our website is device responsive, meaning that it changes to suit whichever device potential customers are using whether it be a desktop computer or mobile phone and has a strong web presence. Our second income stream, which you could also work part time or full time is our Brand Mr. Slushee, you can approach markets/ fetes/Schools and make a good cash sales. You can also approach and let Event Organisers or Businesses know you can cater for fun promotional events. Add a free game of space invaders when they buy a Slushies/SnoCone/Popcorn or Candy Floss and that adds to the atmosphere and draws more people to your stand at markets etc. Also remember as we grow we can add NEW equipment to the range to help support your ongoing profits. With a LOW fixed monthly franchise fee your reward for effort is huge, the more you earn, the more you keep it all. You will earn a great income for very few hours depending on the effort you want to put in or hours per week you want to work...That’s the BEAUTY of a lifestyle Business and that is what Get Slush’d is offering all whilst helping people have FUN! What a great business opportunity? Whilst doing your regular markets or fetes earning great cash money you can also promote your Party Hire business with our brochure and canopy with the backdrop marketing Party Hire. This also means that you need to spend less money on external advertising. Our Third income stream is currently under wraps and is still being put together. This Brand is within the fitness arena and is called BodiTonic. We have the domain name and trademark needed to protect this brand when and if ready. This income can grow to be full or part time. You will earn a great income for very few hours depending on the effort you want to put in or hours per week you want to work...That’s the BEAUTY of a lifestyle Business and that is what Get Slush’d is offering all whilst helping people have FUN! What a great business opportunity? 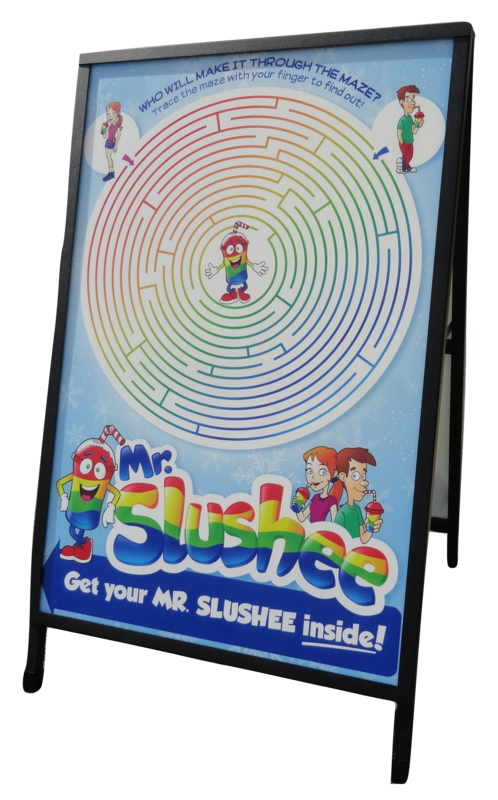 Why a “Get Slush’d” Franchise? There are so many reasons why you should. Most franchises along this nature do Karaoke machines, or Slushie machines....there is NO other company with the range Get Slush’d offer and the procedures in place to ensure first class customer service and this range is only going to grow. We also have a strong web presence with many domain names that ensure us 1st page on most search engines. We also have a capped franchise fee, YES THAT'S RIGHT our franchise fee is capped at one low amount. The reason for the low capped fee is simply I (yes the franchisor) is not greedy, I am not looking to make lots of money, just a little from many, to me it is more about offering the lifestyle, which has enabled me to be here for my kids ALL THE TIME. Isn’t that what life is about and I feel so grateful that I have been able to spend so much time with my kids. It’s a magic feeling to have your customers rave to you about the great time they’ve had with the equipment you’ve provided for their party or function or the people you meet whilst doing the markets selling snocones, or slushies or fresh warm popcorn etc. Or the other income stream which will grow and grow. Our customers can’t help but tell their friends about the great time that Get Slush’d provided them which, of course is great word of mouth advertising. Work part time or full time - your choice. Earn an above average income for minimal time invested. Cash business – more money in your pocket! Grow your business at your pace. If it's a change in lifestyle you are seeking or just want to run your own successful business within a great team with great support then this could be for you.